It’s 5 o’clock somewhere right? 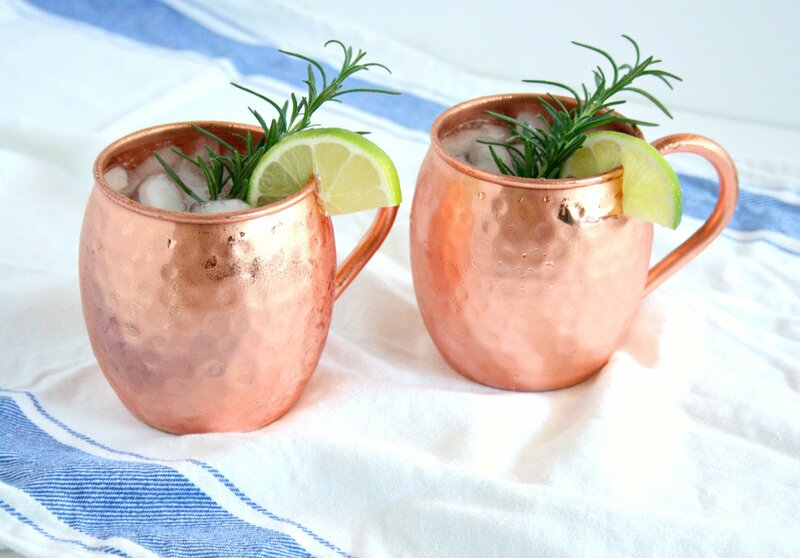 Impress your guest by whipping up my Skinny Moscow Mules at your next event. This pretty cocktail is easy to make and will have you looking like a professional mixologist in no time! Showers and celebrations with friends abound this time of year! It’s the perfect time to create a spring/ summer cocktail. This month’s recipe redux challenge is all about cocktails! We were challenged to show off our healthy, colorful drink concoctions for festivities like bridal showers and graduation celebrations. 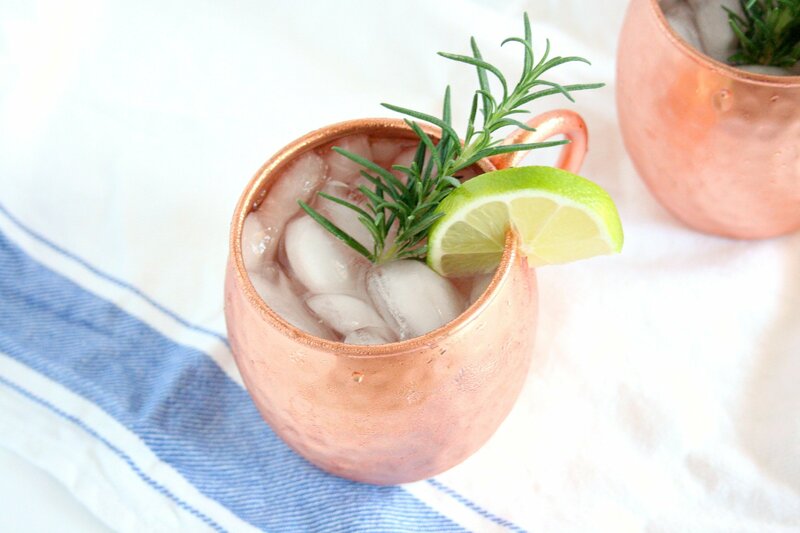 Check out my skinny moscow mule for a healthy twist on this popular drink. In a small sauce pan, combine sugar and water. Heat on medium heat until the sugar has completely dissolved. Take off the heat and pour simple syrup into a glass jar. Add ginger and rosemary to the jar and cover with the lid. This will help the ginger and rosemary flavors infuse. Infuse for at least 1 hour. Strain the syrup to get the ginger and rosemary pieces out. Store your simple syrup in the fridge. It will keep for 1-2 weeks. 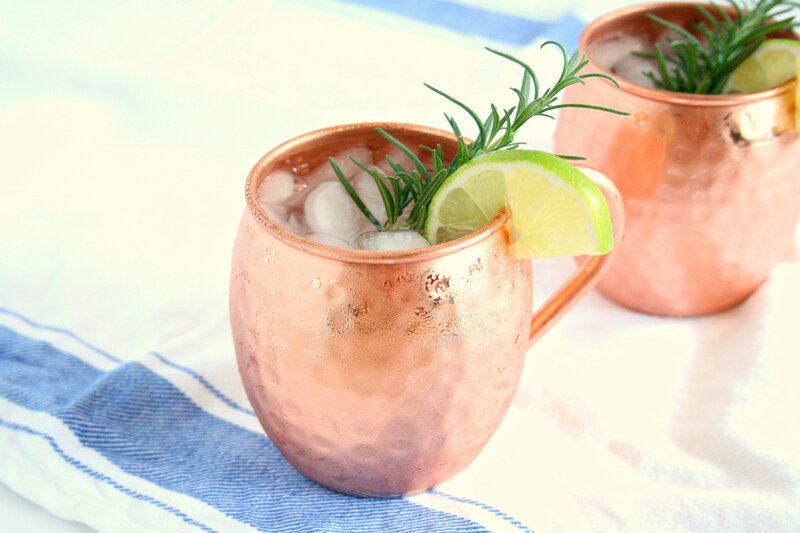 Combine vodka, soda, lime juice, and syrup in a copper mug. Stir and garnish with lime and rosemary.